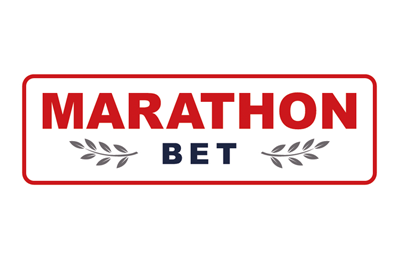 Marathonbet is an independent British sportsbook that was launched in 1997. The company provides betting services in around 175 countries worldwide and operates under four gaming licences in different countries. This Marathonbet review though will focus exclusively on the UK site of the bookmaker which is regulated by the Gambling Commissions of both Alderney and the UK. We will give you an outline of the UK sportsbook by taking a closer look at the Marathonbet Welcome offer, the various deposit and withdrawals methods, the betting markets, the customer service offered by the online bookmaker as well as any safety measures taken to find out whether you can have a pleasant and secure experience betting here. Deposit up to 20 GBP an get a 100% match of your deposit up to a maximum of 20 GBP. Marathonbet guarantees you best odds on certain horse and greyhound races. At Marthonbet you can easily place mobile bets from your smartphone or tablet. At Marathonbet you can place bets even when you do not have sufficient funds. Go to “Account” to see the advanced bets. Renowned as one of the most reliable online betting providers, Marathonbet.co.uk belongs to Marathon Alderney Ltd which is regulated by the Alderney Gambling Control Commission as well as being licensed by the UK Gambling Commission. The online gambling service provider is known by experienced punters for its competitive odds. In 2013, Marathonbet launched a mobile version of the sportsbook for Android and iOS phones, as well as tablet devices. This Marathonbet review found out that the company is an official betting partner of Manchester United, as well as being one of the main sponsors of the Hibernian (Scottish league) and Malaga (Spanish La Liga). According to our Marathonbet review, the current bonus offered to new customers is a 100% match of your first deposit as a free bet, up to 20 GBP. This means that if you deposit 20 GBP, place this full amount on a bet and fulfil the rollover requirements, Marathonbet will give you a 20 GBP free bet. This offer is only valid for customers residing in the UK who open a GBP currency account. The minimum deposit required to qualify for this Marathonbet bonus offer is 10 GBP. This welcome offer can only be activated by entering the bonus code TV20 when making your first deposit. In order to obtain the free bet, you must turn over your original deposit (min. £10 – max. £20) four (4) times at odds of 4/5 (1.8) or more. You can only qualify by placing single or multiple bets on sportsbook markets. The wagering requirement must be completed within 90 days of the initial deposit. To ensure that you can benefit from the Marathonbet bonus offer, this Marathonbet review has drawn up some simple instructions to help you. Please follow the steps written below. Step 1 – Registration: First click on the red “Join now” button at the top right of the UK website. Fill in the registration form with your personal details and e-mail address. Press “create account”. You will receive an e-mail. Click on the provided link to activate your account. Step 2 – Making a deposit: Go to your Marathonbet account and click on “deposit”. Select a payment method. Please note that deposits made with Skrill and Neteller do not qualify for the sign-up offer. In addition, your first deposit must be made in GBP. The minimum deposit amount is 10 GBP. Step 3 – Fulfil the promo code conditions: Place a bet between 10 and 20 GBP at odds of 4/5 (1.8). The rollover requirement is 4 times. Step 4 – Use the free bet: Once the requirements are fulfilled, a free bet matching the amount you deposited will be deposited into your account. You have 7 days to use the free bet. There are plenty of additional offers for existing customers as this Marathonbet review was able to observe. For example, Marathonbet has “Best Odds Guaranteed” on certain horse and greyhound races from time to time. This applies to both single and multiple bets. If you take an early price in your bet and the Starting Price (SP) ends up being greater, then your bets will be paid out at SP. Another interesting offer at Marathonbet is the “Advance Bets”. When you choose this option, you can still place bets even when you do not have sufficient funds. The potential results of your unsettled bets are estimated on events beginning within a period of 48 hours and live events. You can then see the “advanced” used in your “Account”. The sports selection at Marathonbet is among the widest of the online betting market according to our Marathonbet review. Besides football and horse races, you can place bets on a large variety of sports, both popular and less popular ones at this bookmaker, such as rugby, tennis, American football, basketball, baseball, snooker, cricket, chess, darts, etc. The football market is extremely broad with betting odds on different leagues located in about 60 countries. You can see all the different markets available at Marathonbet by simply clicking on the sport of your choice. This diversity appeals to both newcomers as well as experienced players. In-play betting at Marathonbet is available for football, baseball, basketball, tennis and volleyball among others. Even e-sports are represented here as well. Although there are not a lot of fancy graphics at this bookmaker, this can be seen as an advantage since all functions work quickly. Marathonbet does not offer any live streaming at all and that is unfortunate. Even though live scores and results services are in place, most major bookmakers have live-streaming nowadays and it is a feature that appeals to many punters. One of the advantages of betting at Marathonbet are the margins. They are among the highest in the online betting industry, sometimes you can even find 1.5% betting margin in football. This is great value for customers. The general betting margin lies at about 2.3% across the board. This is definitely a point in favour of this gambling provider. Even though our Marathonbet review found that some popular features are missing at this British bookmaker, such as PayPal as a payment method or live-streaming, you are still in good hands here. The simple graphics of the website allow you to avoid waiting for it to load so you can start betting faster. The main selling points of this bookmaker are definitely the odds that are solid and the low betting margins. The portfolio of the sportsbook is large in breadth and depth, so you will surely find an event worth betting on. The live-chat function might not be available around the clock, but there are sufficient other options to contact the competent support. The Marathonbet welcome offer might not be overly generous, but it relatively simple to fulfil its wagering requirements. All in all, Marathonbet is a good place to bet at, whether you are a newcomer or an experienced punter. At Marathonbet, you can make payments by using a variety of options, such as internationally accepted virtual, debit and credit cards (VISA, MasterCard), a number of e-wallets (Skrill, Neteller, eco) and of course bank transfers. The minimum deposit varies between £5 and £10. Marathonbet does not charge any fee. The funds are automatically deposited in your betting account, except in the case of bank transfers. Our Marathonbet review was disappointed to see that PayPal is not among the payment methods offered at this bookie. Step 1 – Go to the banking section of your account: Head to banking section and click on “Deposits”. The list of Marathonbet deposit options will appear. Step 2 – Select the desired payment method: Choose the option you want. Deposit at least 5 or 10 GBP depending on the option. Step 3 – Transact: Fill out any additional details and confirm your deposit. In most cases, your funds should be available within a few minutes. The easiest way to withdraw funds is by using the same payment method as for your deposit. If you decide to use a different option you will probably have to contact customer service to set up this new withdrawal method and go through a verification process. This is usually done when you change method or if the amount to be withdrawn is rather large. Our Marathonbet review noticed that all withdrawal options are free of charge. The minimum amount for withdrawals is 5 to 10 GBP, except for bank transfers (200 GBP). Processing time for e-wallets is up to 3 hours, and 3 to 5 days can be expected for credit/debit cards. Once again, bank transfers take longer. If you wish to find out more about the Marathonbet promotions, T&Cs or general information on the betting provider, the Help section is very informative and well-organised. You will also find a glossary and FAQs here. However, if you do not have time to peruse the site as the Marathonbet review did, then you can contact the customer service by calling the free hotline at 0800 9757882 (UK) or dialling +44 1273 964705 (internationally) at any time of day. This service in offered in English and French. In addition, you can open the live chat window by going to the Help section. This service is only available from 7 am to 10 pm (GMT). Another option is to write an e-mail and send it to care@marathonbet.com. The bookmaker is present on Twitter (@marathonbet) and also on Facebook. In addition to publishing news about matches and current offers at the sportsbook on social media, Marathonbet regularly has promotions such as winning VIP tickets for football games by retweeting certain posts or answering a quiz question correctly, as could be determined during our Marathonbet review. Reliable or scam: How safe is Marathonbet? Having been in the online betting business for 20 years, Marathonbet is definitely safe. First of all, your sensitive data is protected by Thawte SSL encryption. This prevents third parties from gaining access to your personal details. In addition, the British bookie is licensed in Alderney as Marathon Alderney Ltd. and, like every online bookmaker operating in the UK, Marathon.uk.co is also regulated by the UK Gambling Commission. There were no indications of dubious business practices at this sportsbook during our Marathonbet review. How do I place a bet at Marathonbet? Select your events and click on the price selections you desire. Open up the bet slip to see all the different bet types for the selection and choose the one you want. Enter a stake and click the “place bet” button. A message confirming the placement of your bet will appear. What Security features are used on this site? SSL encryption is used at Marathonbet to make sure that your personal data is safe. After logging in, the 256bit encryption begins so you are protected during your betting session. In addition, you can find detailed login information by going to “my account” and “login history”. Can I also use the Marathonbet mobile version? Yes, you can. If you wish to use the Marathonbet.co.uk mobile version, you just need to use the same username and password as for the desktop version when you wish to place bets. No need to register once more. What is the Bet Constructor at Marathonbet? The “Bet Constructor” is a bet that lets you place bets on the outcome of matches played by 2 virtual teams picked by you. Those teams are made up from players that participate in real life matches. Bets are settled according to the total points won by the players of the real matches. How do I register at Marathonbet? To sign up at Marathonbet, just go to the UK website and click on the red “Join now” button in the right corner of your screen. Fill in your personal details in the registration form and press “Create account”. Once you have confirmed your registration by clicking on the link provided in your confirmation e-mail, your account will be activated. Just deposit and start betting.